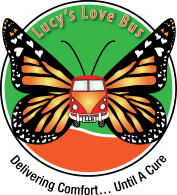 Lucy's Love Bus's mission is to improve quality of life for children with cancer and life-threatening illness, to support their families, and to mobilize the next generation of cancer activists. Join us as we welcome Northern Essex Community College President Dr. Lan Glenn and Vice President Dr. Naomi Custodia-Lori to our Friday morning meeting. Groundwork Lawrence has been making change happen since its beginnings in 1999. Through its environmental and open space improvements, healthy food access programs, youth education, employment initiatives, community programming and events, GWL creates the building blocks of a healthy community, and empowers residents to improve their quality of life. ActivMed Practices and Research Inc. is a network of four free-standing clinical research institutions, with associated private practices.